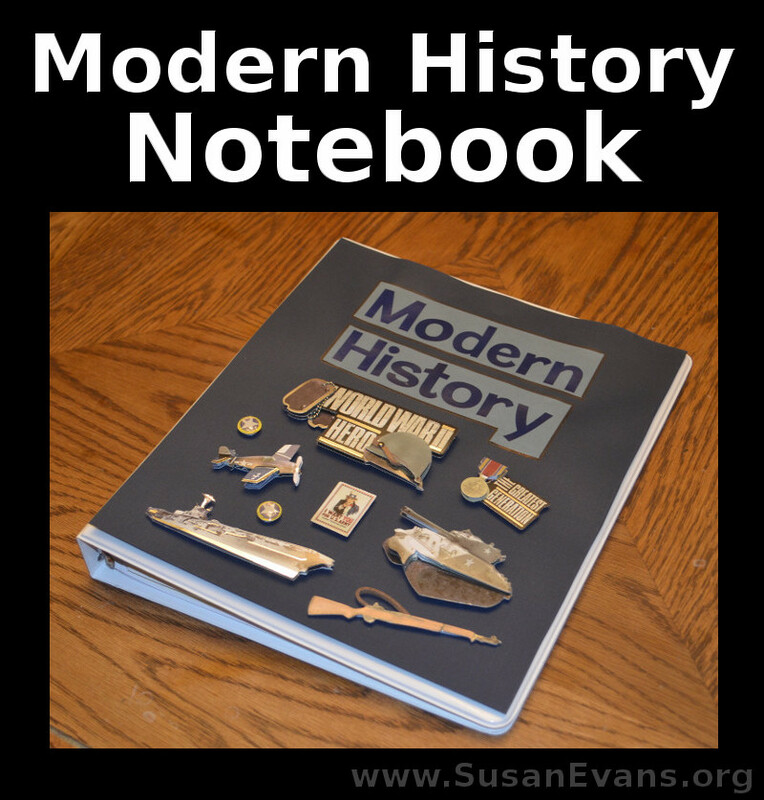 Today I will be showing you our modern history notebook that we put together during our study of American history. We made two notebooks for the year: one for the Civil War and one for the true modern culture starting at the turn of the century. 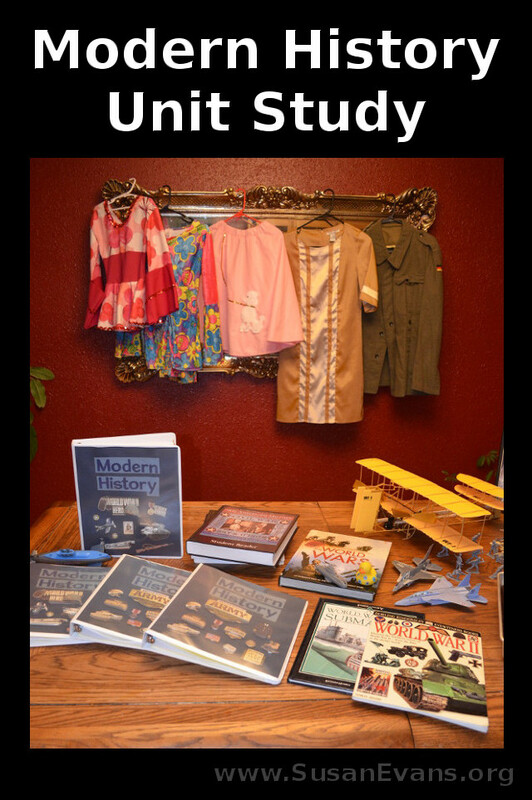 In our series on modern history, I have shown you many hands-on activities, field trips, and themed parties that help to bring this time period to life. Now I will focus on the written work. 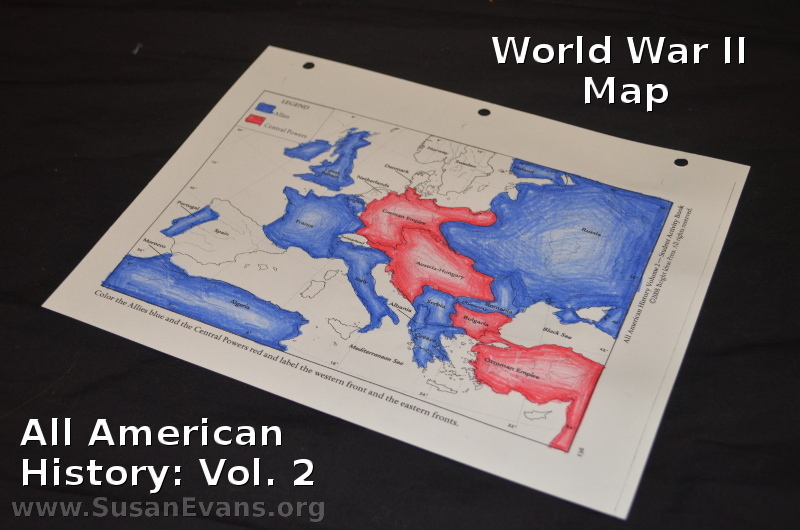 We used the charts and maps from All American History, Volume II. 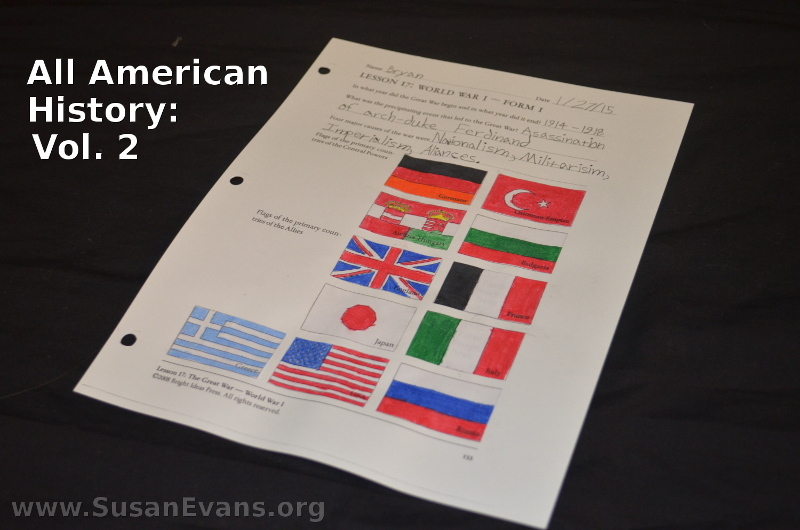 I liked the fact that my kids had to color and cut out the flags of the different countries involved in the wars. World War I and World War II are especially important to keep separate and are often taught in the schools one after the other. I purposely spent longer than a week (3 weeks!) 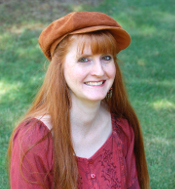 on World War I so that the kids understood trench warfare and early airplanes. I did NOT want the two world wars to blur together in their minds. While studying World War II, my kids built some LEGO tanks! They had such a fun time looking at pictures of tanks and trying to get the correct shape. The tops of the tanks swivel, as you can see in the YouTube demonstration below. The green tank has a hatch where soldiers can enter the tank. If you have Robotic LEGOs, you can use the track for the bottom of the tank. If all you have is regular LEGOs, you can make a track like the green tank, using black LEGOs. We are using All American History, Volume II this year for our American History studies. We also read The Hiding Place by Corrie Ten Boom to further understand the Holocaust of World War II. Besides LEGO tanks, you can also make other LEGO scenes from World War II. During the Blitzkrieg in London, the German planes dropped bombs on the city, demolishing the entire city and leaving it in ruins. As you can see in the YouTube video, the airplanes are 3-dimensional, coming out from the scene, dropping their bombs behind them. The white buildings have black smoke rising from them. 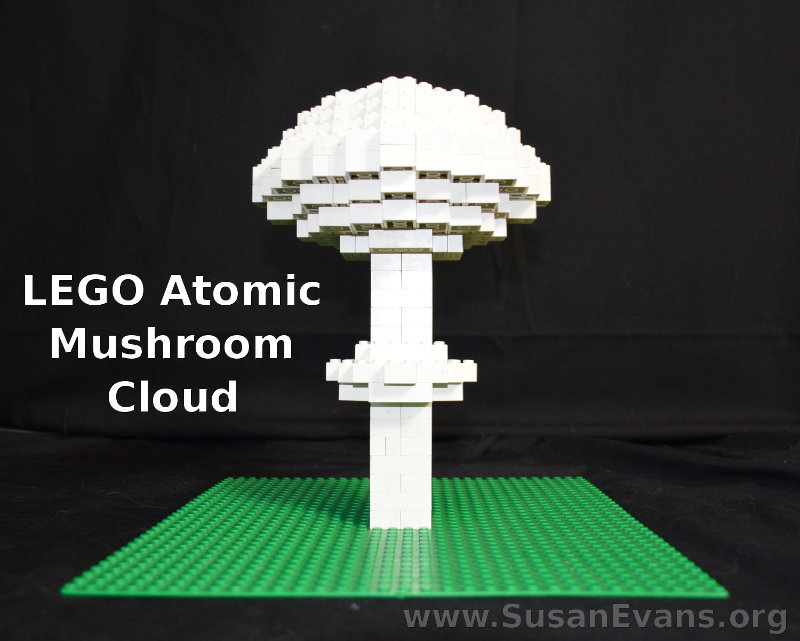 My son decided to make a LEGO atomic mushroom cloud out of white LEGO bricks. Just look at a photo of an atomic explosion, and you will see how to construct the mushroom cloud. There is a larger mushroom top and a smaller mushroom top about half-way down, tapering sort of like stair steps. My daughter made a concentration camp out of a LEGO base that was gray. There was a gas chamber in one corner. 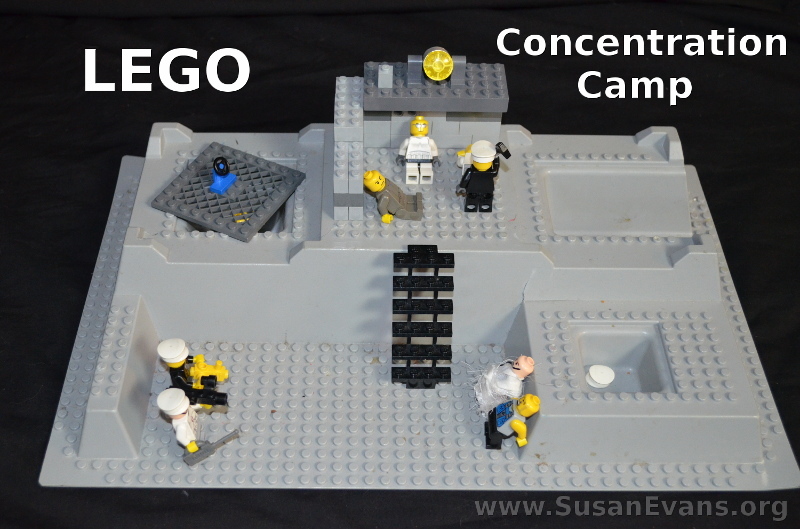 A LEGO man is beating a couple of Jews, and two more men are shooting two other prisoners. 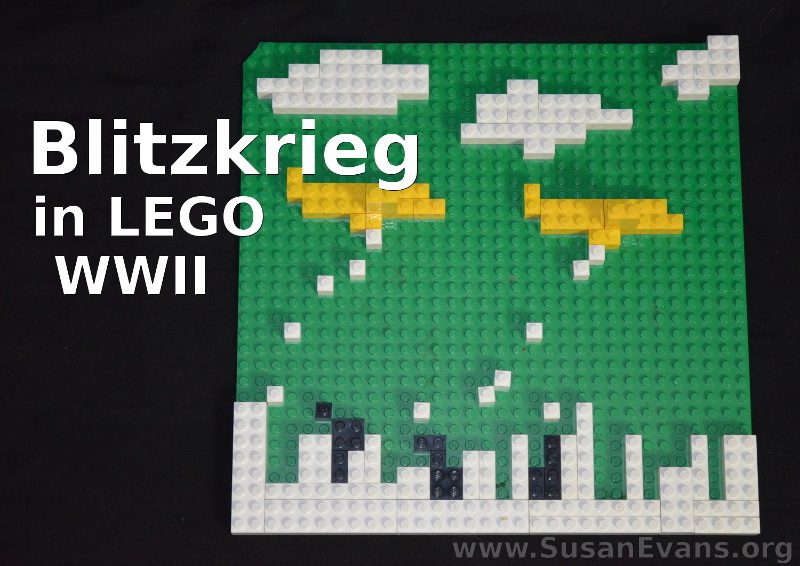 Making scenes out of LEGO bricks will help kids to understand World War II while creating from their imaginations. 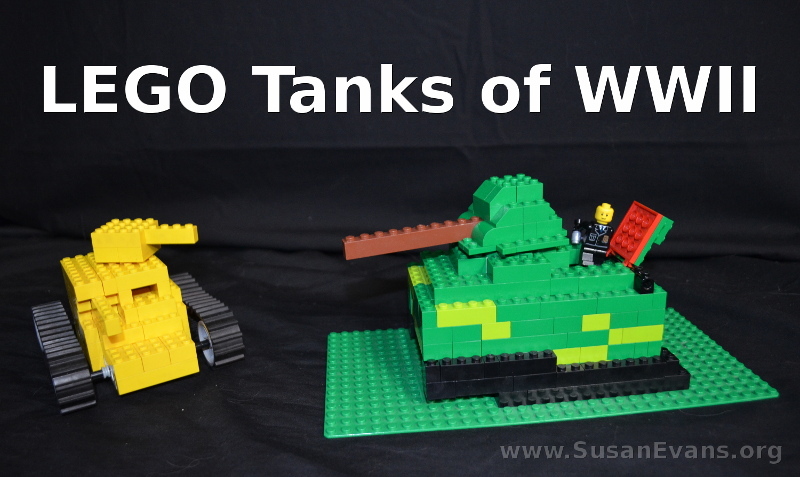 The LEGO tanks were especially fun to make! 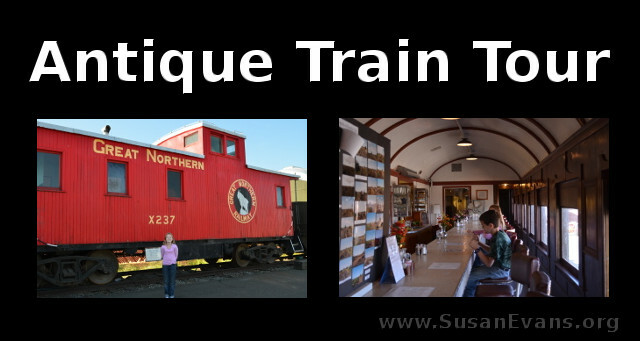 Today I will be taking you on an antique train tour. 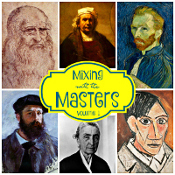 This is a fun field trip if you are studying modern history. We have been using All American History, Volume II this year for our American History studies, and this is one field trip that is mentioned in the book to help experience this time period. This particular train was built in the 1940’s. 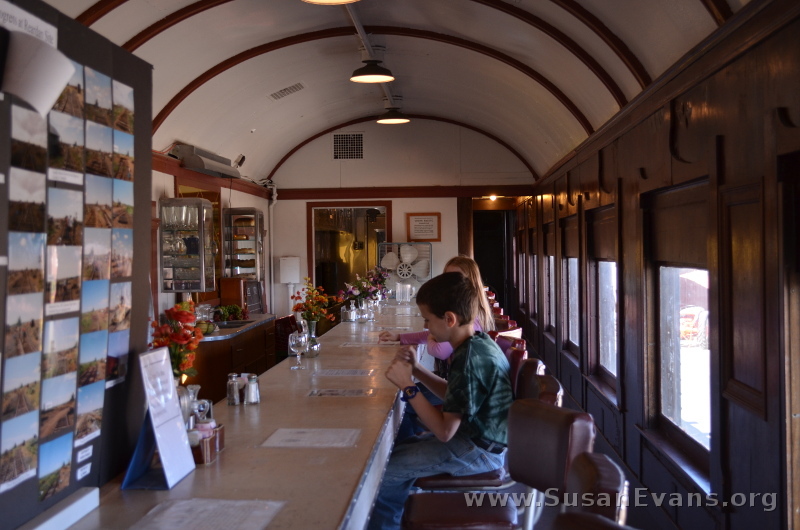 Trains were built to transport people and freight from one end of the country to the other. Train tracks criss-crossed the nation back during a time when cars did not yet exist and horses and buggies were too slow. Even today, trains are the most economical way to transport heavy objects from one place to another. 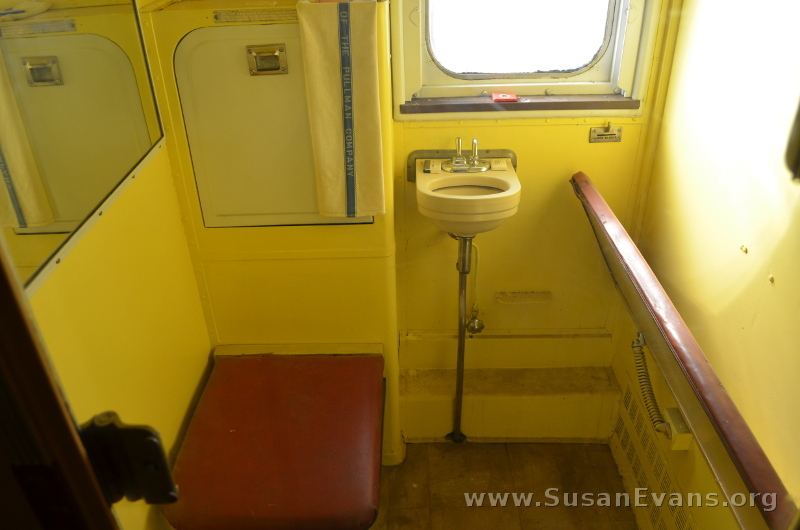 Antique passenger trains would have a dining car with a counter and stools. You could order your food and listen to music over the old-fashioned radio. (You will see this in the short video tour.) The ceiling was arched and ribbed. 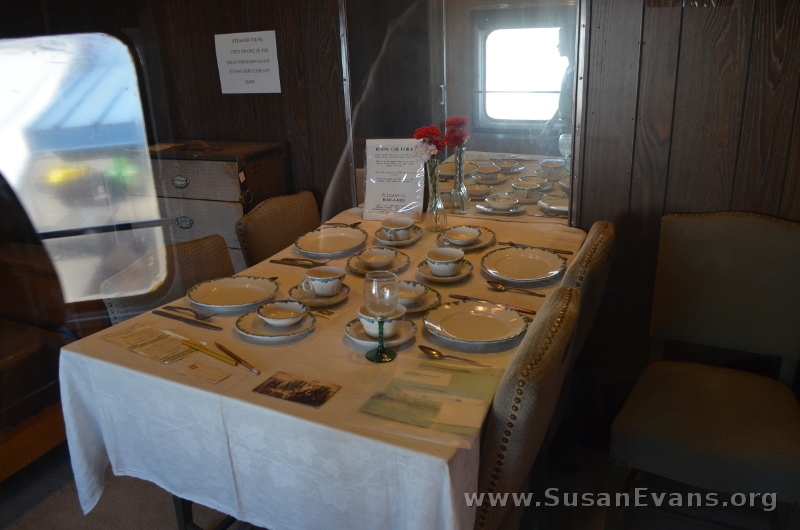 The kitchen was located behind and to the side of the dining car, with a narrow corridor leading to the next train car. Here is where people would sit to eat a proper dinner. Hopefully the dishes wouldn’t be rattling as the train rolled over the tracks. This is a bathroom. The yellow paint makes it cheerful, but it doesn’t make up for the fact that it is such a small room, almost like a closet. The red seat can be pulled up to go to the bathroom. The sink is super small, as you can see. 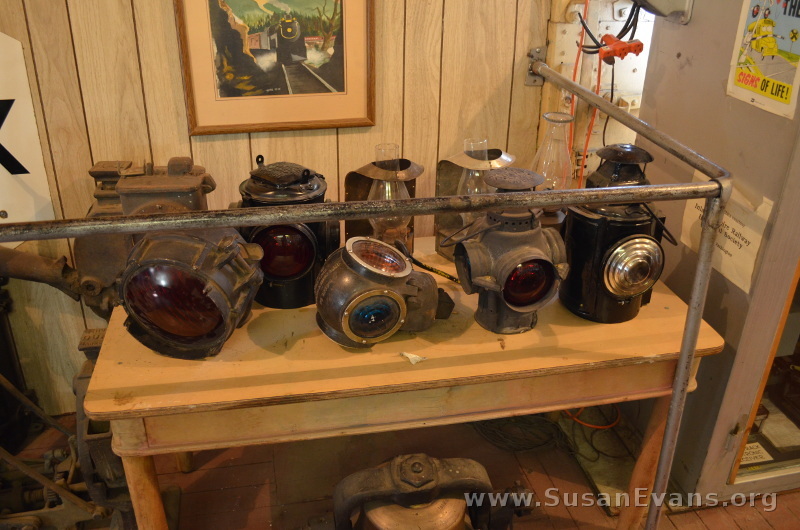 There were some old-fashioned lanterns and other paraphernalia from that time period, enclosed behind various glass cases that were museum-like. I show you a lot more trinkets in the video, like an old-fashioned telephone and typewriter. 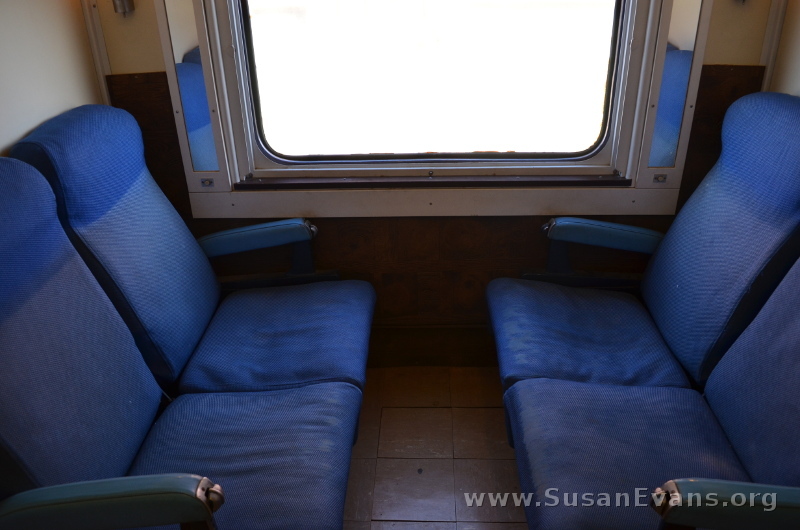 These are your regular train seats where you would sit and enjoy the scenery while you were going to your destination. There was a small model train at the end of the tour, with bridges, trees, tunnels, and other fun features. My kids really enjoyed being able to experience what life was like during the 1940’s.